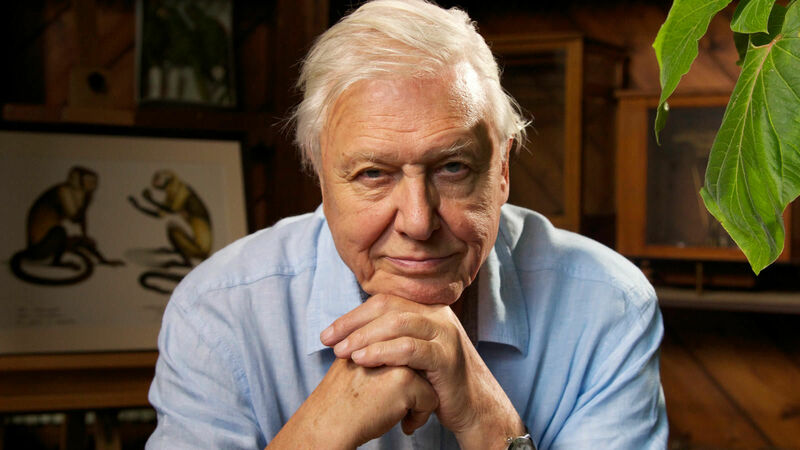 Sir David Attenborough: environmental and wildlife broadcast legend, British hero, and… denier of the single biggest threat to wildlife and the planet? Or, just oblivious? This week, Attenborough told the Guardian newspaper that he is more than encouraged about the future health of the Earth than he has been for some time. And why? Because of a “worldwide shift” in attitudes about concern for the natural world and the damage that humans are doing to the planet. According to Attenborough, there are “signs of hope” for the health of the planet because of the Paris climate change agreement. This agreement between near 200 countries is an attempt to limit the rise of global temperatures compared with the pre-industrial age to well below 2C. While this was of course brilliant news for environmentalists – vegan and not – it hasn’t thus-far filled us with hope for the future. In June, President Trump pulled America out of the agreement. The agreement, partially brokered by Obama, had predicted that the US could reduce their emissions by 26-28% from 2005 levels by 2025 – so America’s withdrawal from this caused outrage. It’s surprising then that Attenborough has instilled so much faith in it. By contrast, a real, palpable change in attitudes can be seen in the growth of the vegan movement – but, regrettably, Attenborough failed to note this. Unfortunately it seems that Attenborough may be out of touch with reality. A 2015 poll in America found that less concern is given to environmental issues than ever before. The Gallup survey showed how Americans were more concerned about the environment in the late 1980s and early 1990s, but interest dropped off in the early 2000s. Since then it’s remained close to historic lows. And when it comes to global warming specifically, Americans are no more worried now than they were in 1989. It seems that as a society, we pay little thought to the environment. Not only has this best loved wildlife expert overestimated how much people care about the environment, he has – possibly through unawareness – brushed the greatest threat to the planet under the carpet. The 91-year-old was described by Barack Obama as a “great educator” but it seems that he might not be telling the world what it actually needs to acknowledge. Animal agriculture is the leading cause of not only species extinction, ocean dead zones, habitat destruction, water pollution, tropical deforestation and air pollution. So when Attenborough expressed his concern for such issues, commenting, “I spend a lot of time wringing my hands and saying how dreadful it is that this forest has been obliterated and that sea has been polluted and whatever” it’s sceptical whether he knew the facts behind what he was talking about. Attenborough himself is a meat-eater, which may explain why he may not be fully aware of the impacts of animal agriculture – it’s a huge learning curve and shock for many considering the transition to veganism to learn the facts and figures behind this utterly normalised industry. In telling the Metro “we haven’t got the gut to allow us to be totally vegetarian” we may assume that Attenborough is simply not up-to-date with nutrition and health studies, since a vegan diet is now considered the most healthy and effective in disease prevention. It is both concerning and deeply disheartening when popular personalities such as Attenborough, with the power to influence and passion to do so, are unwilling – or simply unable due to lack of awareness – to publicly acknowledge the single most effective thing we can do to save both wildlife and the planet: adopt a plant-based diet.